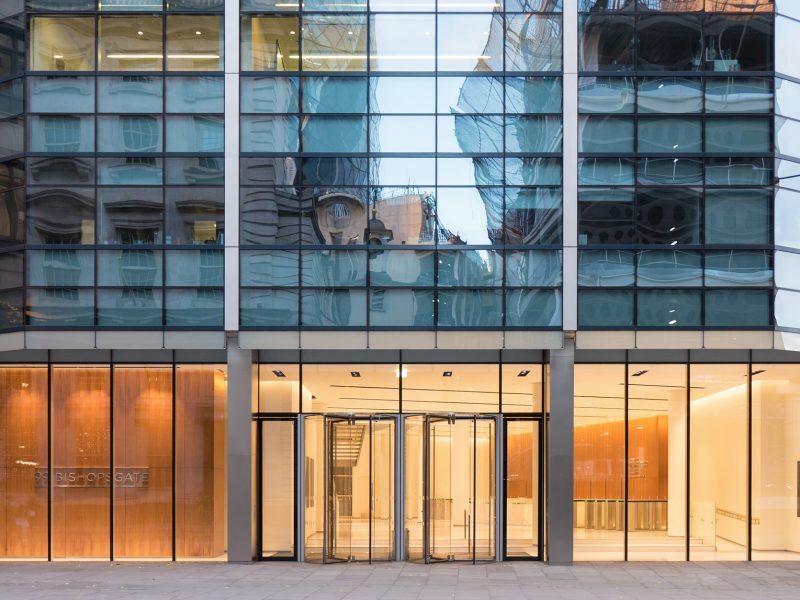 Improved daylight into the entrance lobby and a more efficient entrance door system for this prestigious City office. 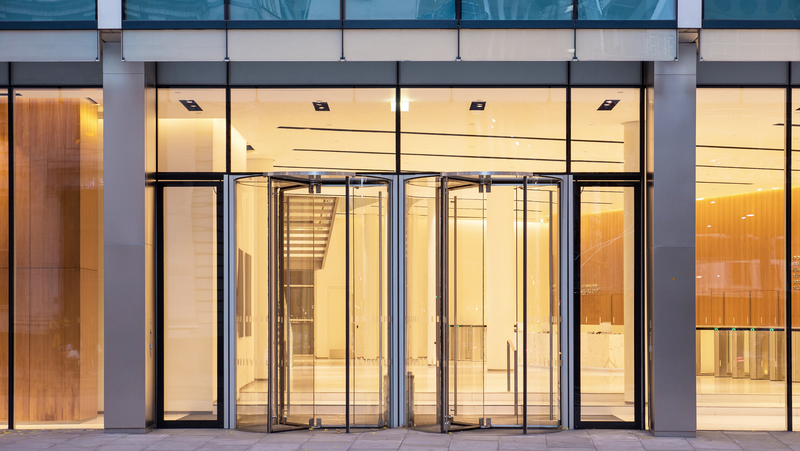 To improve the appearance of the existing entrances and replace the doors with a more user-friendly system. 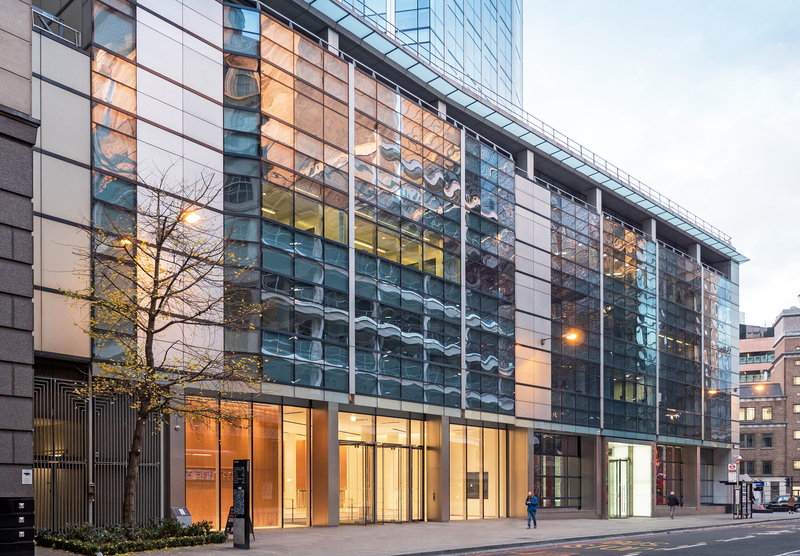 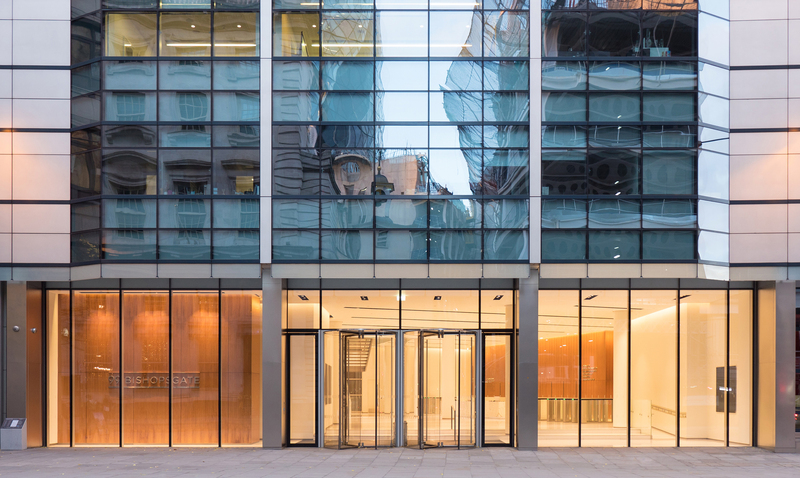  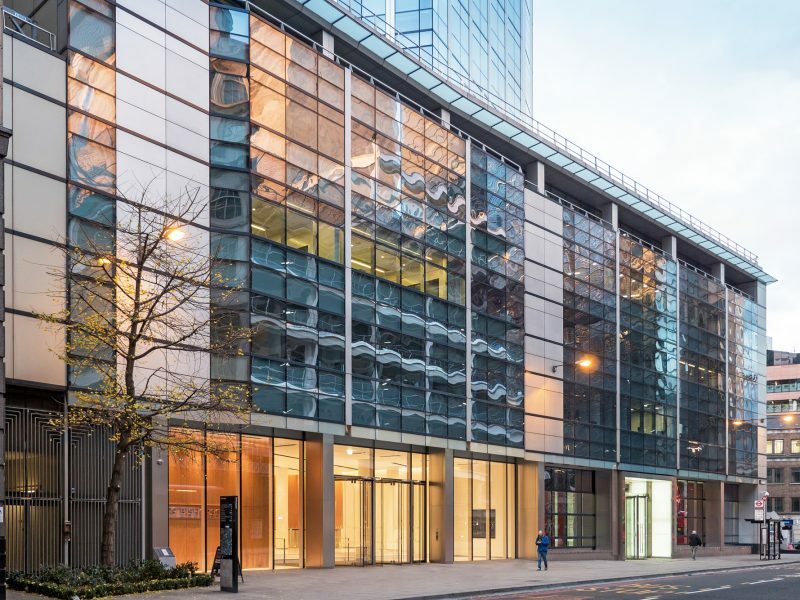 Structura designed and installed a new structural glass façade with all-glass revolving doors and stainless steel cladding, creating a more imposing entrance for the building. 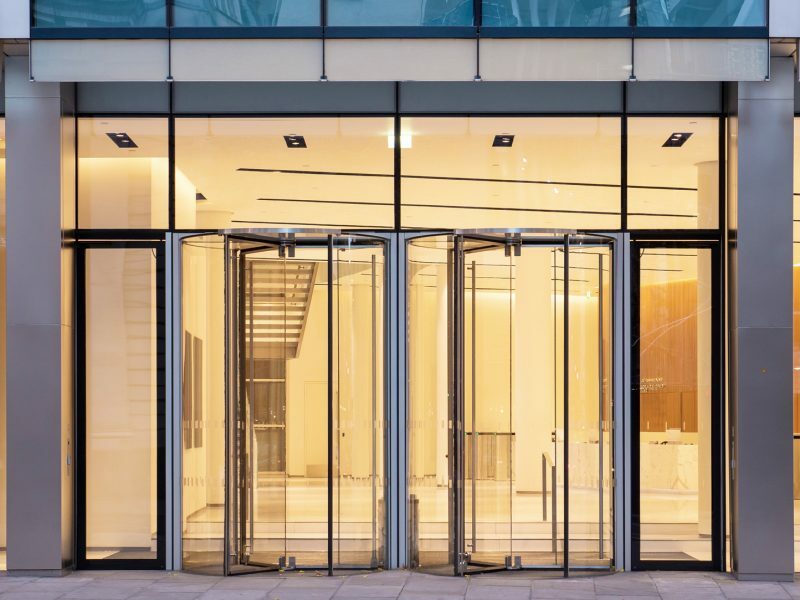 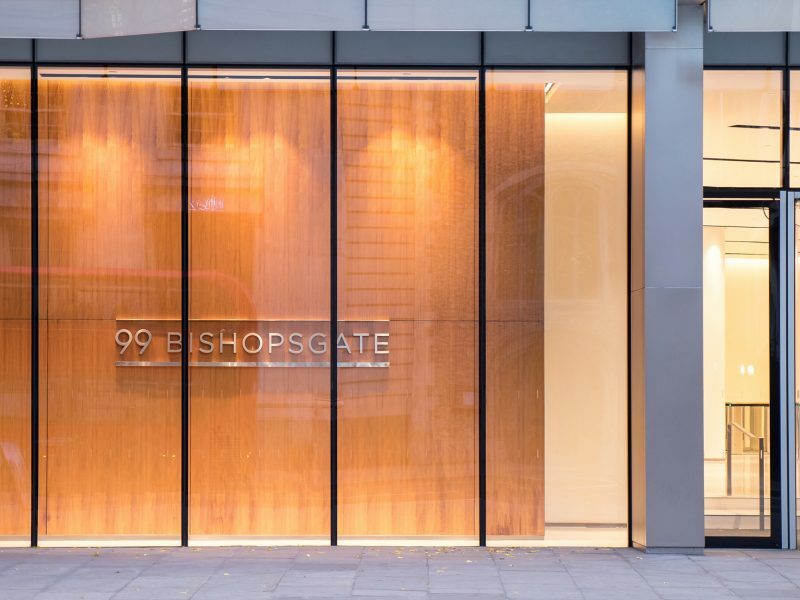 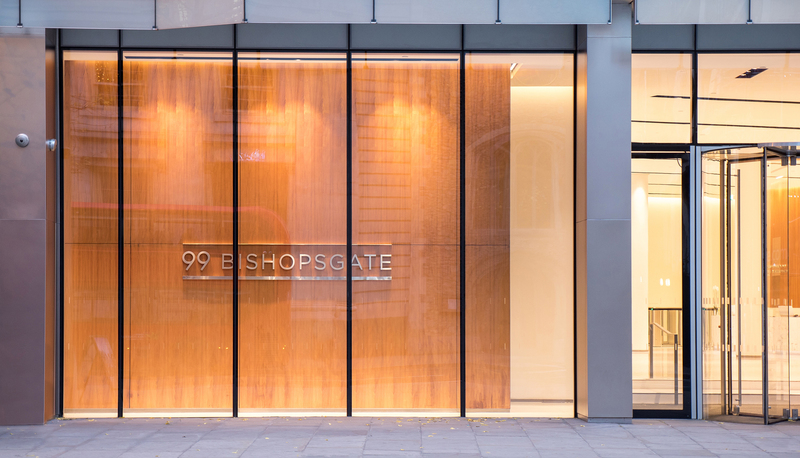 The building’s tenants and visitors benefit from improved daylight into the entrance lobby and a more efficient entrance door system, avoiding log-jams at busy periods.